The 2018 Mazda 6 is refreshed and reinvigorated with a stunning new design inside and out, more models and even more premium features. There’s also new Cylinder Deactivation, and an available new 2.5 T Dynamic Pressure Turbo engine for drivers wanting an extra boost of power. Finely crafted to deliver superb quality, soul-rousing aesthetics and an unmistakably exhilarating drive, the Mazda 6 is so striking and so well crafted, you’ll savour every moment behind the wheel. London residents can come to our Pfaff Mazda dealership and test drive a 2018 Mazda 6 today! Let’s take a look at some of the features. The 2018 Mazda 6 comes with a full complement of passive and active safety features to help keep you safe. Mazda has taken into account the finer details, such as placing easy-to-read, uncluttered instrumentation within the driver’s sightlines. The available suite of i-ACTIVSENSE safety features uses the latest innovations such as camera, radar and laser technology to give you a better sense of your surroundings. For 2018, more i-ACTIVSENSE features are standard on all models. And even the SKYACTIV-Body and -Chassis use ultra-high-tensile steel to help protect occupants in case of an accident. The MAZDA6 chassis has been thoroughly revised to deliver greater agility and a dramatic reduction in Noise, Vibration and Harshness (NVH). 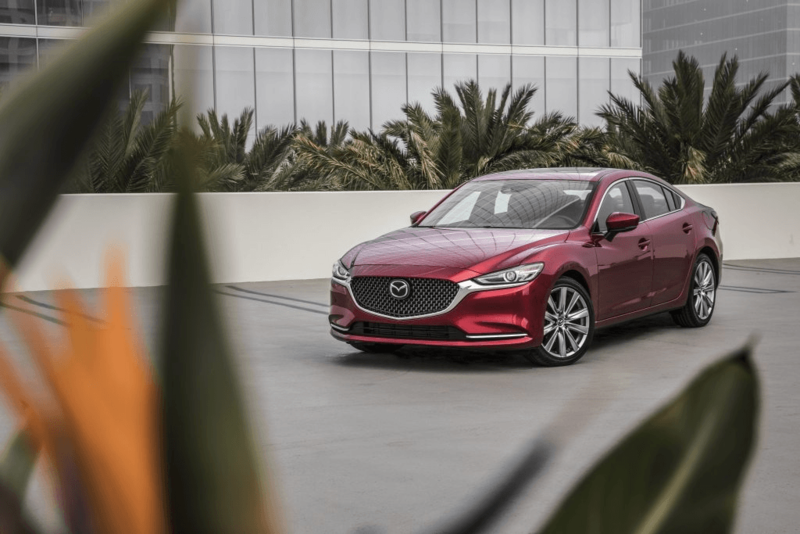 The Mazda 6-exclusive alloy wheels look better, wear better and, most of all, handle better, with less vibration and greater resistance to twisting forces. Like the technology above them, they perform. London residents can easily take a test drive in a Mazda 6 2018 at our Pfaff Mazda dealership. Simply schedule your test drive on our website today. For more information about the Mazda 6 2018, please feel free to continue browsing through our website. Click here to find our contact information or to fill out our contact form.